The ideal time to commence Hypnobirthing classes is between 20-30 weeks. This allows ample time to practice the self- hypnosis, relaxation, breathing and visualization techniques taught within the class. If you are outside of this time frame please contact us directly to your discuss options. Who should attend Hypnobirthing classes? Hypnobirthing classes are for mother and birth partner. Our birth partner’s presence, support and reassurance is invaluable. We believe birth partners have an integral role to play in the birthing process; it also creates positive memories and greater bonding for mother, partner and baby. Birth partners can be your partner, doula, sister, friend or mother, the person who will be your primary support throughout your pregnancy and birth. If circumstances prevent a birth partner from attending you are still welcome to attend as your baby is also considered a birth partner. Will I have a pain free birth? Hypnobirthing does not guarantee a pain free birth. 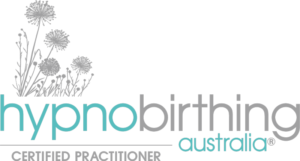 We do however explore the causes of pain during labour; with a greater understanding of the causes of pain we can apply our Hypnobirthing techniques of visualization, relaxation, breathing and self-hypnosis to reduces the discomfort experienced during labour. Do I need to attend Ante-Natal Classes? Ultimately this is an individual choice. 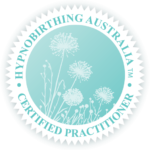 Our Hypnobirthing Program is a comprehensive and informative course. We cover numerous topics regarding natural childbirth. We believe in empowering mothers and their birth partners through education so informed decisions can be made. We believe in self-education and believe all knowledge is empowering and never wasted. Will I be unconscious or asleep during Labour if I use Hypnobirthing? All hypnosis is self-hypnosis often described as a deep state of relaxation and focus, you still have an awareness of your surroundings and what is happening around you while applying your hypnobirthing techniques. You can still make informed decisions, move around as you desire and converse at any time.